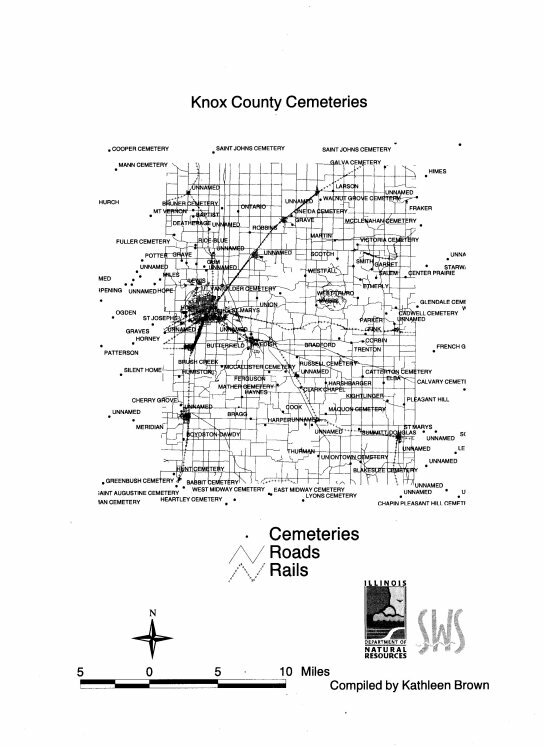 This map shows the location of many of these cemeteries! (Map courtesy of the Illinois State Water Survey, Dept. of Natural Resources).